Happy new year, all; this rollicking jam seems like a good way to help bring in the new year! While I love a good serious side as much as the next music fanatic, sometimes an infectious little happy number such as this one simply goes directly to my heart, changes the heart rate a bit and instantly endears itself. Records just don't come any more genuinely happy. 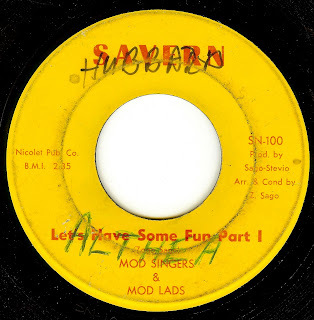 Wish I could tell you anything about these Mods, but their story seems to be lost to history. I believe that they were Chicago based. I'm also guessing the year. As always, if you know anymore, please write! 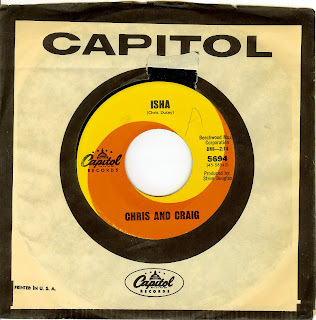 Hailing from southern California, Chris (Ducey) and Craig (Smith) were early pioneers of the type of psychedelic sounds that incorporate middle eastern sounding melodies (aka "raga rock") that were explored more deeply in 1967-68. 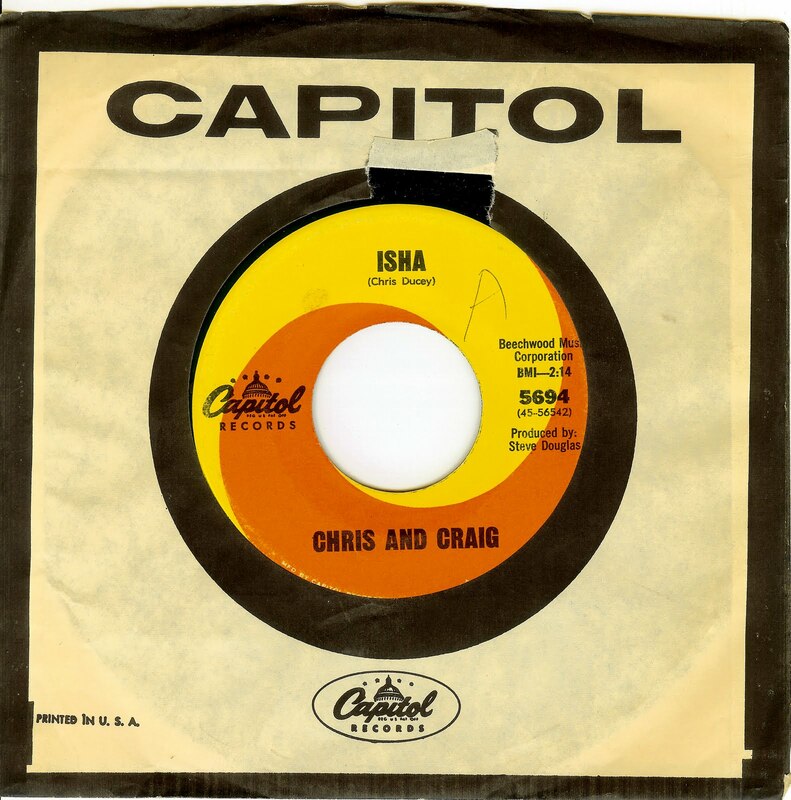 Behind all the droning, though, is an excellent, catchy beat number from this pair that, shortly after the release of this single, formed a group called The Penny Arkade. The saga of that group is fascinating, and it involves music, money, drugs, intrigue and madness (read Richie Unterberger's excellent account here. This duo showed a massive amount of potential that, apparently, was never fully realized. 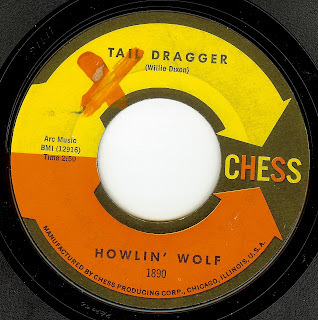 Cut nearly two years before the boogaloo craze swept New York City and beyond, this incredible New Orleans instrumental takes a cue from both the NOLA groove with a heaping helping of Latin hot sauce. 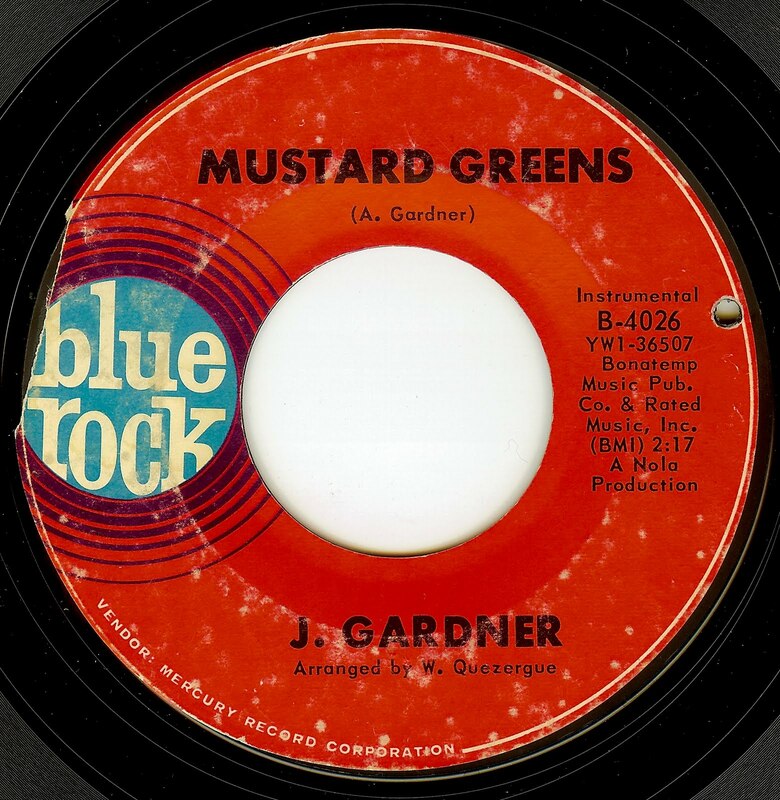 J. Gardner is actually drummer Albert Gardner (aka "Gentleman June" Gardner) who spent several years in the early 60's touring with Sam Cooke. Shortly after Cooke's tragic death, Gardner cut this single which was originally released on the local NOLA Hot Line label, and when its fire started spreading it was reissued on the Chicago based Blue Rock label (an offshoot of Smash Records) for national distribution. Hot stuff indeed, and one that those who love drum breaks will especially dig. Long believed to be a Detroit based artist, while trolling the web for info on Gloria (alas, there's hardly any out there) I've come to find that she is from the Toledo, Ohio area (which is where this record was cut, I believe). No surprise that she was believed to be part of the Detroit scene, as this record certainly has the kind of (almost spooky) vibe that we hear on, say, Pat Lewis' brilliant motor-town releases. This is a highly unusual record and arrangement (co-arranged by the singer, which is also unusual) and the W. Whisenhunt name seen on the labels is said to be her husband. Anyhow, this exceptionally great girl group cut did make the pop charts (#64) in the year that Billboard stopped using an R&B chart, which tells me that single must have been a huge seller. Much has been made of the fact that, with their skewed combination of (white) airplay and sales the Billboard charts have had an unfair advantage against R&B records, and I firmly believe it. Considering the sheer NUMBERS and quantity of some of these great records out there 'in the field", they sold a helluva lot more than the bigoted charts would indicate. And they sold well for good reason. May it be a fantastic day for you and yours. 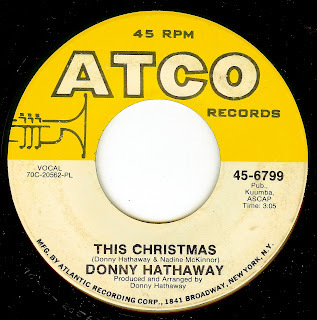 Among his brilliant skills arranging, producing and performing, Donny Hathaway also co-wrote and put to wax the first version of this song that has since become a Christmas standard. Tragically, Donny only lived 34 years; however, the gifts of music that he left behind are immortal. 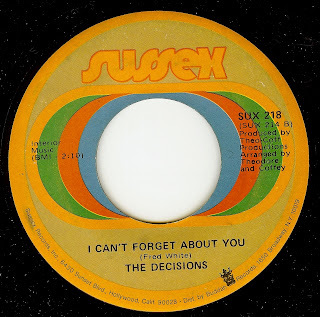 I'm not sure if this Betty Lloyd is the same singer who was a member of the east coast girl group The Percells; Thomas Records (named after Jamo Thomas) was a Chicago label, and this track certainly has an indelible Chicago stamp on it. 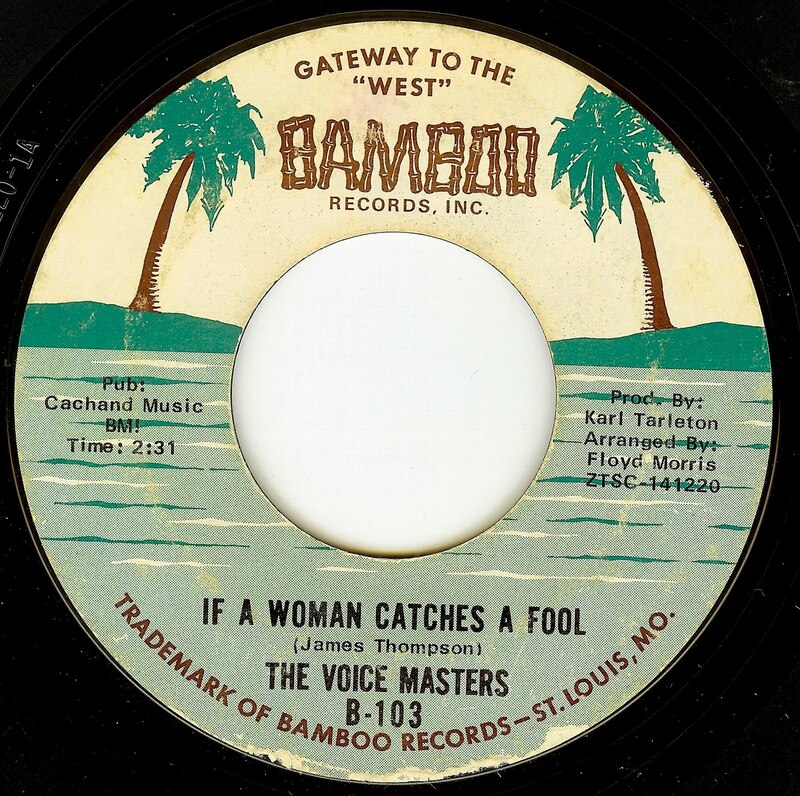 Fabulous St Louis soul; and fools, let it be a lesson- if your woman catches you being a fool, she WILL bump your head. It's not worth it, fools! They *are* far smarter than us so you will be caught. Bamboo records apparently believed in the hit potential possibilities of this record strongly enough to issue it once in 1968, then again in 1970 (with a different flip side). It's certainly a catchy enough record with massive hit potential within its gorgeous group harmony. 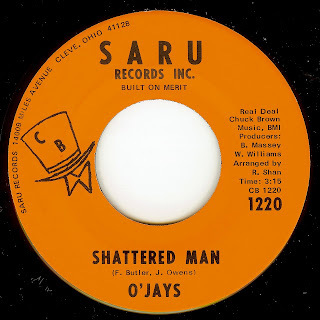 For a group with a rather long recording history (c1963-1970), there is precious little info about this Detroit group. 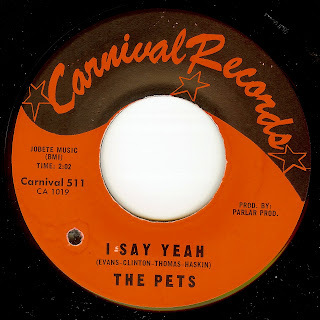 Their catalog is excellent and they (or at least a certain lineup) cut "Misery" in 1963 (a past 45 of the day, and also the basis for "Zoot Suit" by The High Numbers who became The Who), and also the later hit "Aint No Sun (Since You've Been Gone)". This record is an excellent slow burner, with that stomping (piston like) Detroit snare drum sound, sublime harmonies and a top notch lead vocal. 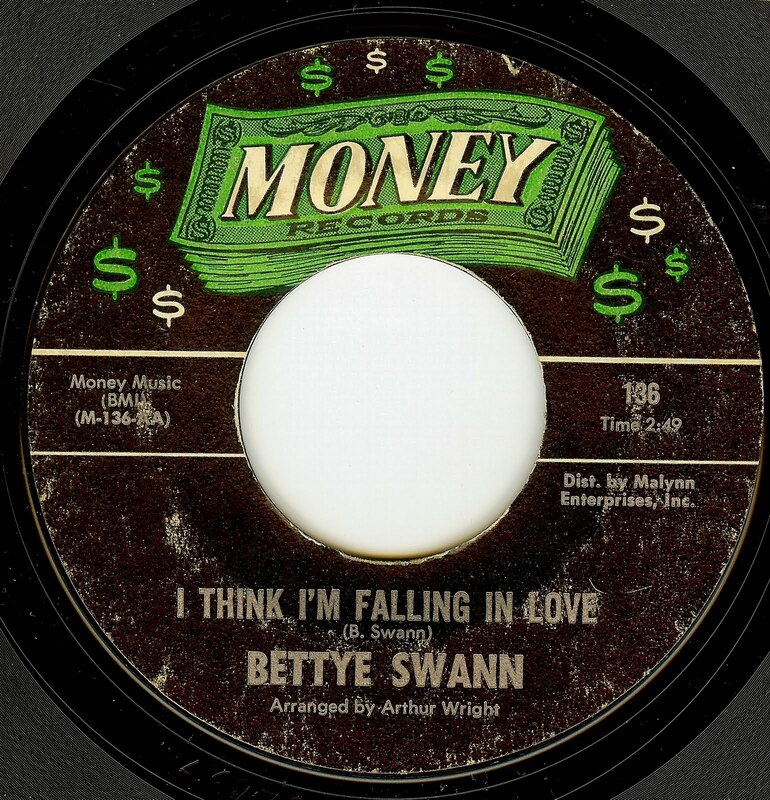 Bettye Swann (transplanted from Arcadia, LA to Los Angeles in 1963 at age 19) recorded this final single for Money Records before moving on to Capitol Records during her string of excellent 60's singles. This is one of those sides that immediately sinks in its claws with a fabulous intro that completely takes off with Bettye's fabulous vocal entry matched with some equally excellent female backing vocals. I especially love what happens at 1:28; pure nirvana achieved at 45 RPM. This record just flat out COOKS! 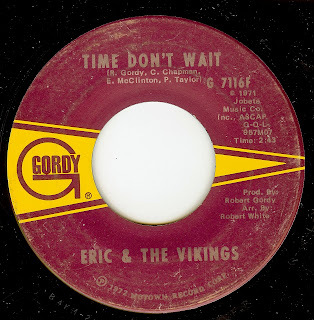 Eric (aka Eryke McClinton) and The Vikings were (and apparently sometimes still are) a group from Detroit that found enough success with their debut single "Vibrations" (bound to be a future 45 of the day) that it landed them a contract with Gordy/ Motown Records. The record is an intense slice of vocal group perfection. I can say unequivocally that I enjoy listening to records far more than an ipod (that's a given, right?) but nothing can top the joy of random play reminding me of a record like THIS that had languished outside of my memory for too long. This came on while I was driving yesterday, and it was like hearing this beautiful record for the first time; of course it wasn't, since I owned the record and had transferred it to a squished little MP3 file, but it was an ear awakening experience nonetheless. This gorgeous ballad shows off the majesty of Mable's voice in a stunning way. 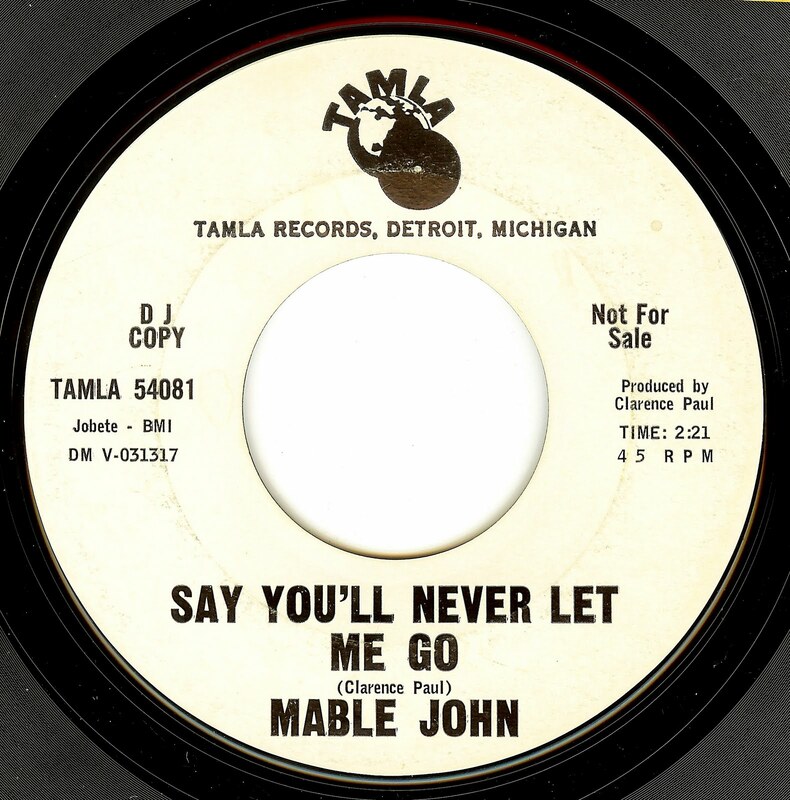 sister of Little Willie John, Mable was discovered by Barry Gordy's wife at the beginning of the Motown records eras, while Gordy was seeking talent. Mable's two singles for Tamla Motown were not a commercial success, and after a gap of a few years she recorded some excellent sides for Stax (all past 45's of the day). 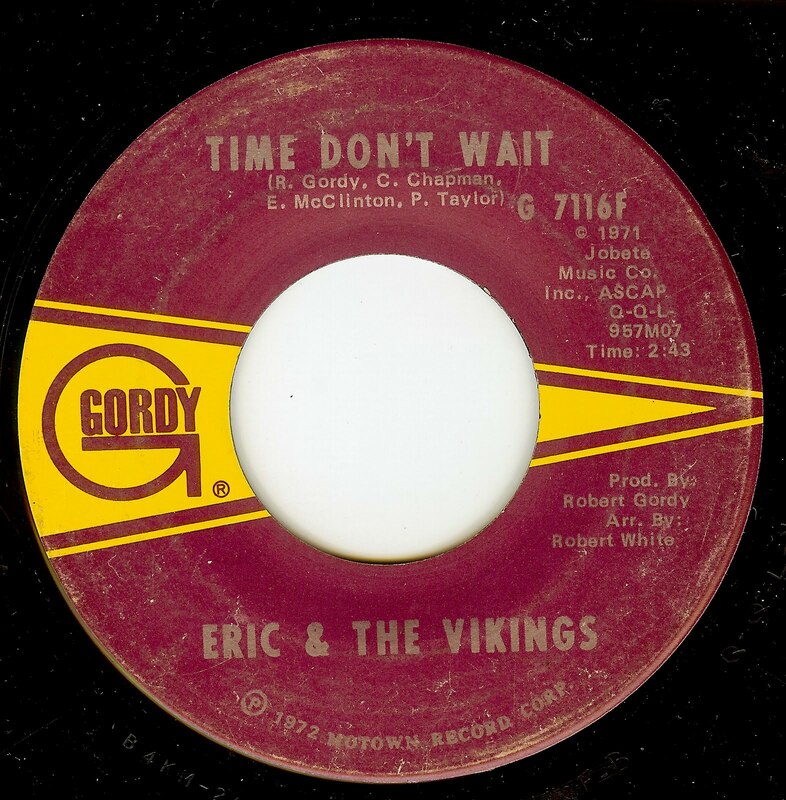 Gordy did believe in the record enough to reissue it in 1963 (from when my copy was pressed). Some pretty hot stuff here! Buy more than one, mention the blog and get a shipping discount!!!! While it's certainly not uncommon for a British release to go unissued in the United States, here's the curious case of a British hit-making group and a single that was ONLY issued in the US (and a small handful of European countries)! Hailing from the UK midlands region (the industrial city of Birmingham), the Fortunes came around at the right time; their excellent harmonies were matched to the incredible song "If You've Got Troubles" (their fifth single) which was a worldwide smash in 1965, and with a quality that was practically on par with the other major players, it lumped in perfectly with the British Invasion. 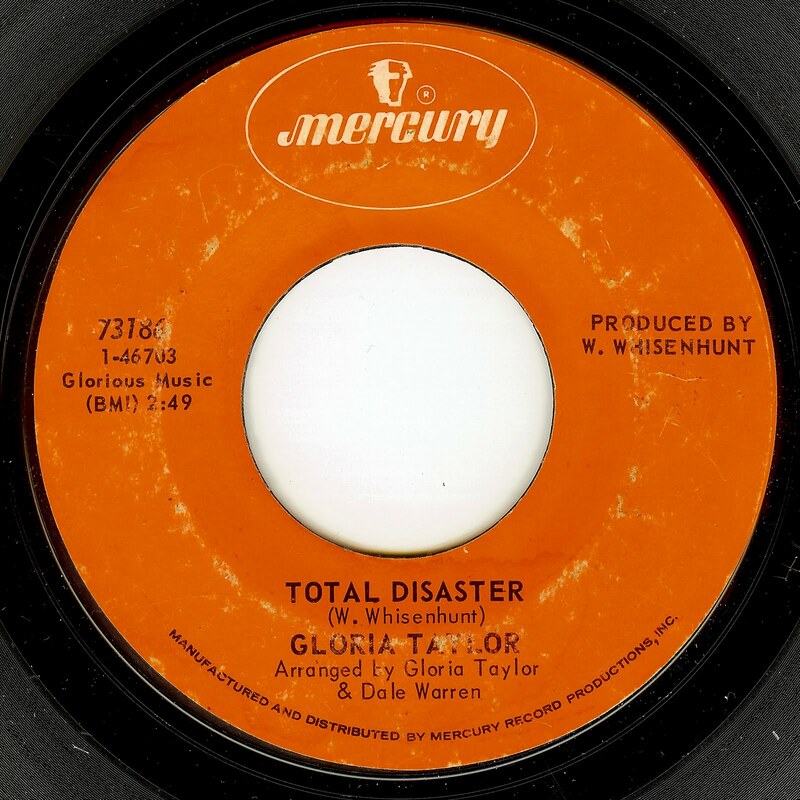 By 1969, the hits had dried up, and the group was finding its biggest success in commercial jingles(!) as their brand of Brit beat had basically become passe. 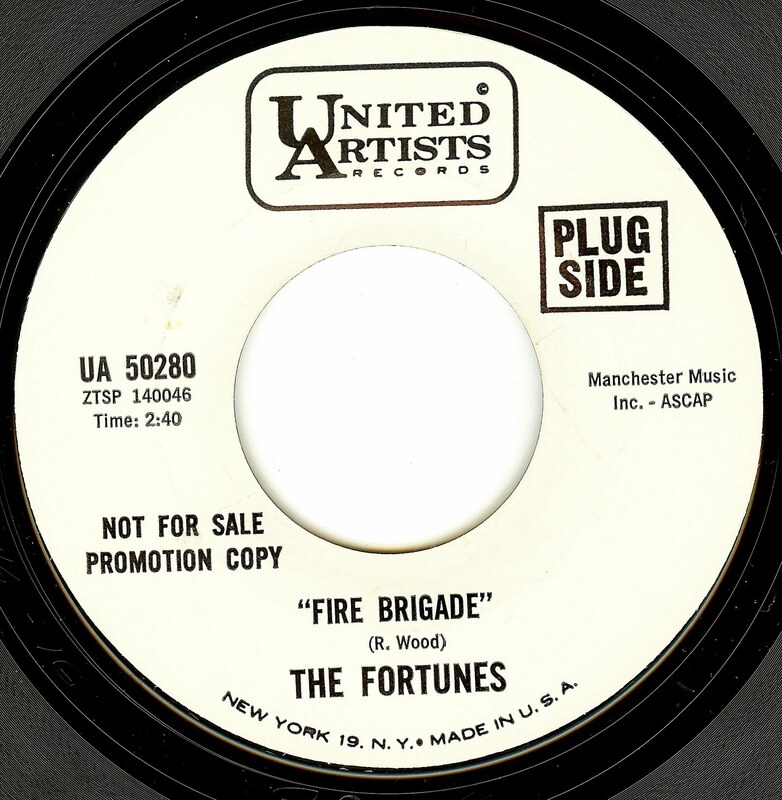 On a whim, the group covered The Move's UK hit "Fire Brigade" for the US market, in a record that captures, in essence, the last gasp of the swinging London/ mod beat style. Sadly, it sunk without a trace without any chart action. The Fortunes DID hit big in the US two years later, with the excellent single "Here Comes That Rainy Day Feeling Again". The story of Joe Haywood unfortunately is a sad one. It seems as though he was the writer of "Warm And Tender Love", which was Percy Sledge's followup hit to "when A Man Loves A Woman", but apparently Haywood (as was the case with so many songwriters in the 50's and 60s) sold the rights and credit to publisher Bobby Robinson. I'm not a gambler, but I'd also be willing to bet that Haywood wrote the other side, "I Would If I Could", which is a slamming r&b number that complements the deep soul of "Warm And Tender Love" beautifully. Haywood was known in his native area of Spartanburg, South Carolina not only as an excellent vocalist but also an equally great drummer. 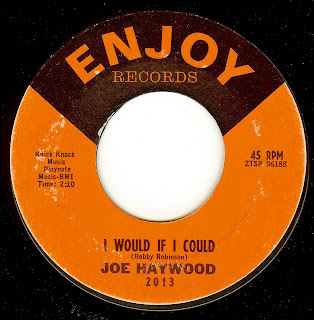 Haywood released a handful of other singles up til around 1970, then disappeared from the music scene. Thanks to the Soul Detective for uncovering information on Joe Haywood. 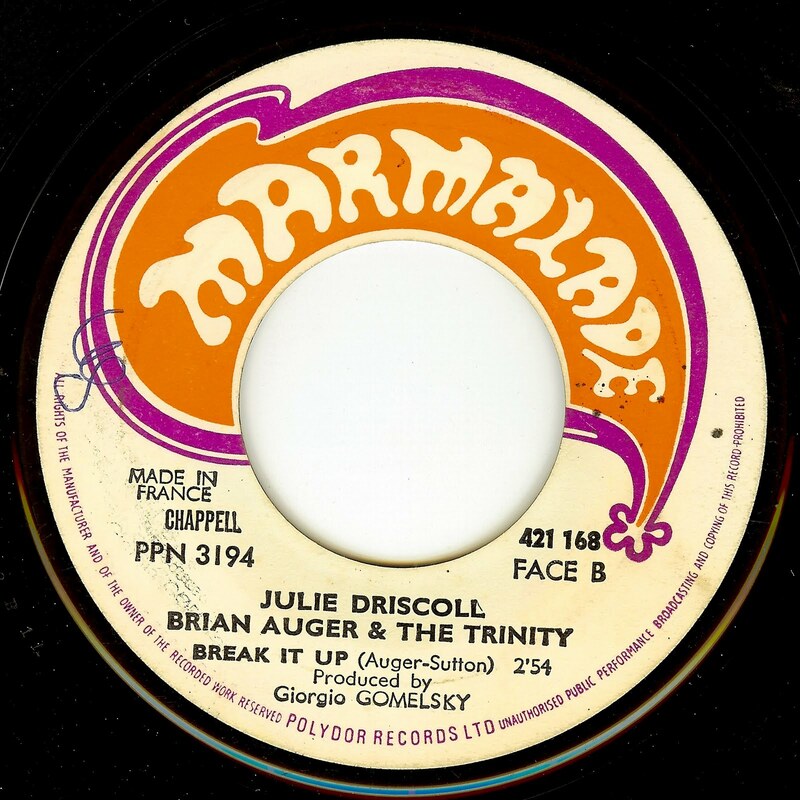 From the same sessions/ LP that yielded the masive Driscoll/ Auger version of "Save Me" (a past 45 of the day) comes this almost equally killer track that continues on within the soulful, funky, Hammond Organ vibe with Driscoll's massive voice driving the train into the ozone. As this is a Dennis Coffey co-production, I would assume this group was from Detroit. Not a whole lot of other info out there to be found, either. Whatever the story, the side is an intense harmony driven belter! Ohio's O'Jays are, quite simply, one of the finest r&b vocal groups in the history of the music, and their career now spans seven decades since their high school beginnings in 1958. Throughout the sixties, the group released a brilliant run of soul records that, in most cases, did not achieve the chart success they so greatly deserved. Allegedly, the group was ready to call it quits until Philadelphia producers Gamble & Huff decided to take them on. This collaboration yielded the massive hit "Back Stabbers" and a successful run of brilliant singles. 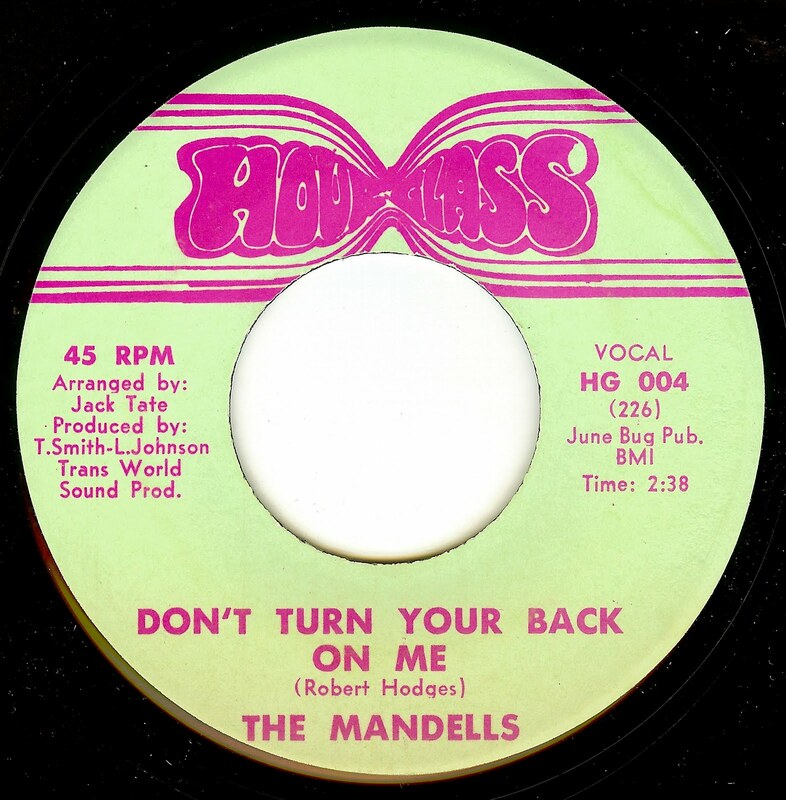 This release, their final before release before their signing to Philadelphia International Records and their debut side at that label ("Back Stabbers"), captures a group at the crossroads, and it's an intense and deeply soulful side that oozes desperation and determination. POWERFUL stuff, my friends. 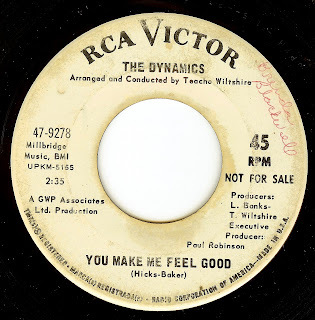 The only info I can find on this record is an ad from Billboard Magazine from 1964 in which Vee Jay states that thanks to the chart action of this record, an LP was in the works from The Angelos. 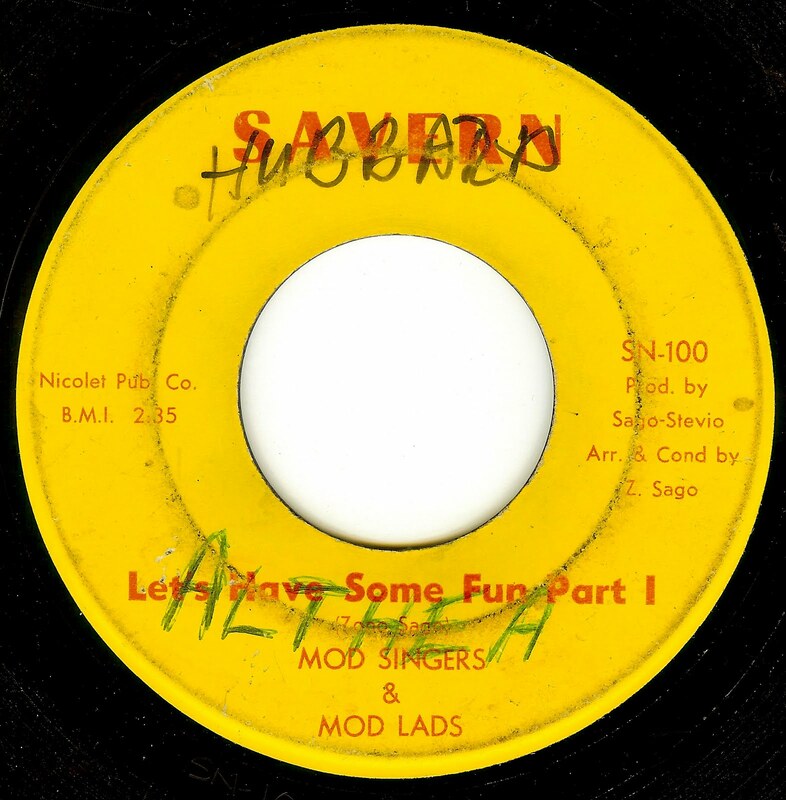 Perhaps there's a master tape in a vault somewhere with more excellent tracks such as this one, that show off some righteous and powerful vocals as heard on this excellent track. Chicago? Los Angeles? Wish I knew. Also, no relation to the Mel & Tim soul classic of the same name released a few years later. 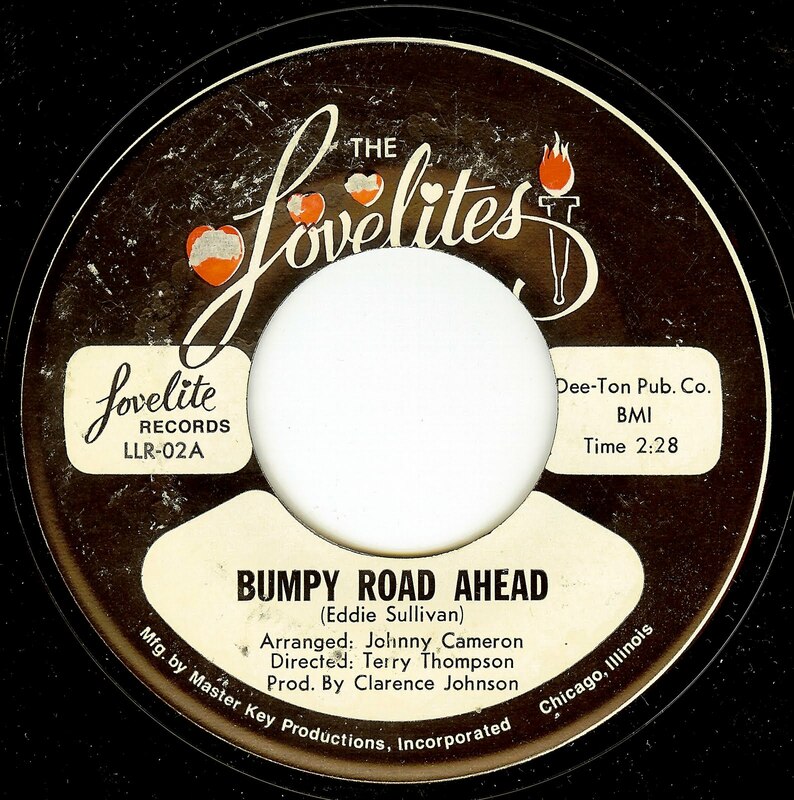 Some of the greatest records of female romantic turmoil were brought to us from the Lovelites (led by the great Patti Hamilton), from the time they broke through with their second single (and past 45 of the day) with their second single "How Can I Tell My Mom And Dad" which was one of the first records (if not the first) that deals with teen pregnancy directly. Here, Patti with a new duo of Lovelites (Rhonda Grayson and Joni Berlman replaced the orginal members Rozena Petty and Ardell McDaniel), Patti takes on a love triangle with similarly spectacular results. Her voice expresses the words of the song in a very powerful way. I am afraid that I know nothing about this excellent record in the way of origin and group details. 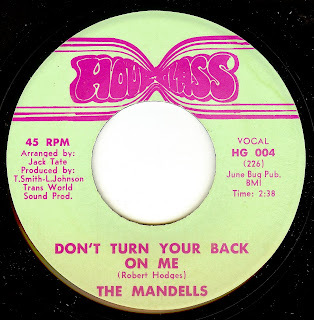 There was another group known as the Mandells that were active in the fifties, but I don't think this group was affiliated with that group in any way, shape or form. This group might have been from Chicago, but I'm not sure. Whatever the back story, the story as told in the grooves is one of a group with excellent vocalists paired up with two stellar songs. 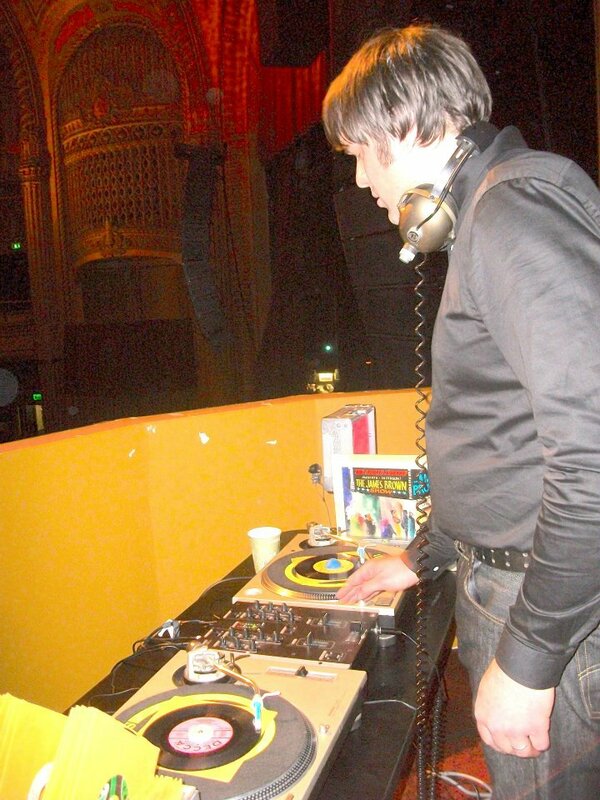 I had the honor of spinning records before the mighty Iggy & The Stooges took the stage at San Francisco's Warfield Theater for two nights. Unfortunately, we blew it with the recording of the second night's set, but here's the first night. download as a ZIP file with tracklist. Nothing can compare to the righteousness of hearing this records loud thru the massive Warfield PA, but turn it up anyhow. This was a "full circle" night for me- I first heard James Brown when I was 7 played as set opening music for Iggy, and my mom told me who it was and it began my love and passion for soul music. Here it is, 30 years later and "Live At the Apollo" is still played before Ig takes the stage! Fenton Robinson was born in Greenwood Mississippi in 1935 and moved to memphis at age 18 where his recording career began. In 1962, Robinson moved to Chicago where he became a part of the blues/ r&b scene. 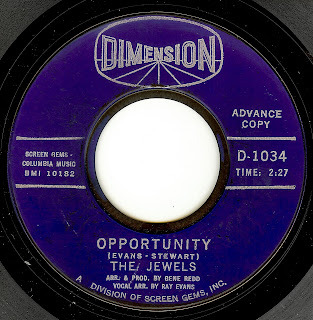 This incredible side was cut in 1967, and the flip side "Somebody Loan Me A Dime" (technically the a-side) of which was "appropriated" a few years later by Boz Scaggs. 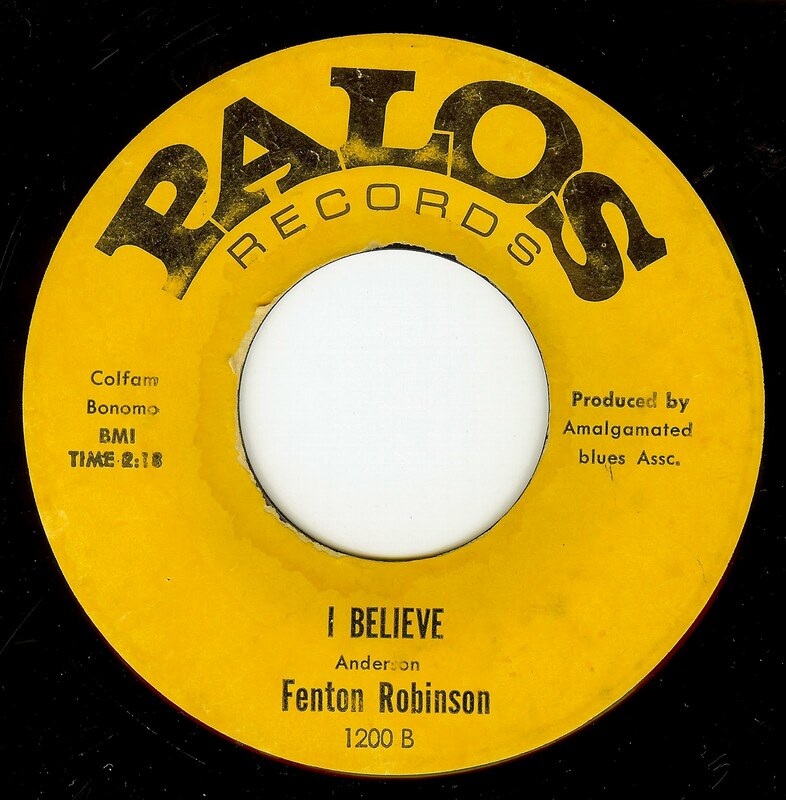 After years of legal struggles the writing credit was finally given back to Fenton Robinson. However, THIS is the side brimming with fire and fury, and while both sides are great this is the one I feel like sharing. One minute forty seconds. Blink and you'll miss it, or play it over and over again as I do. 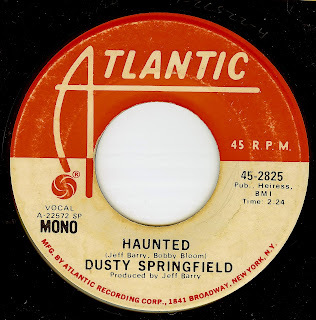 After the success of Dusty's 1969 Dusty In Memphis LP and the massive "Son Of A Preacher Man" single, Atlantic Records arranged for her next LP to be produced in New York by hit making producer Jeff Barry. 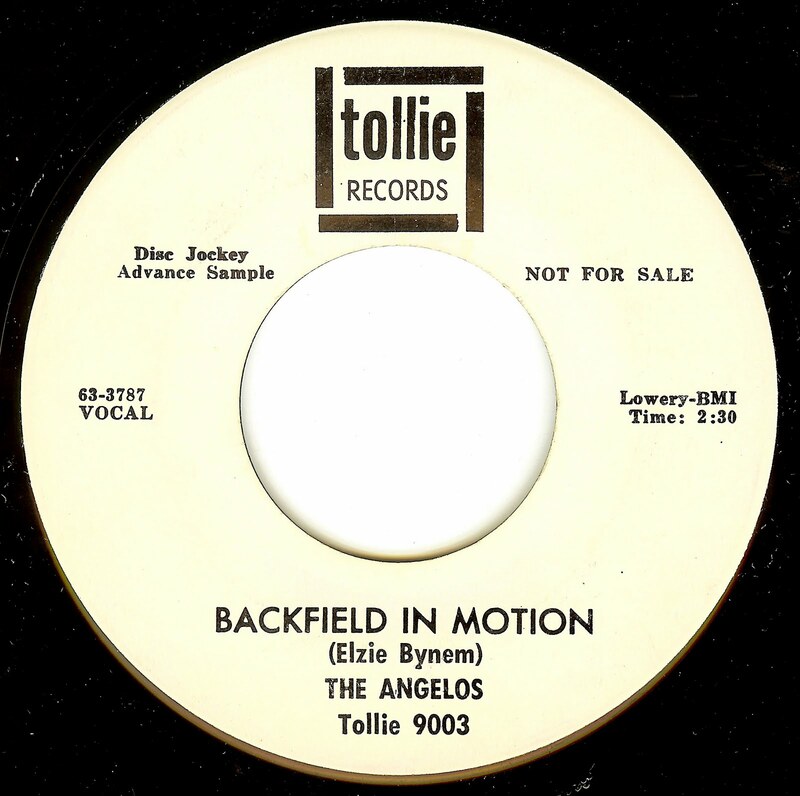 An entire LP was cut and given the working title "Faithful"; this track was one of two singles drawn from the album before release. For whatever reason, Atlantic chose not to release the album, allegedly due to the failure of the two singles drawn from it. 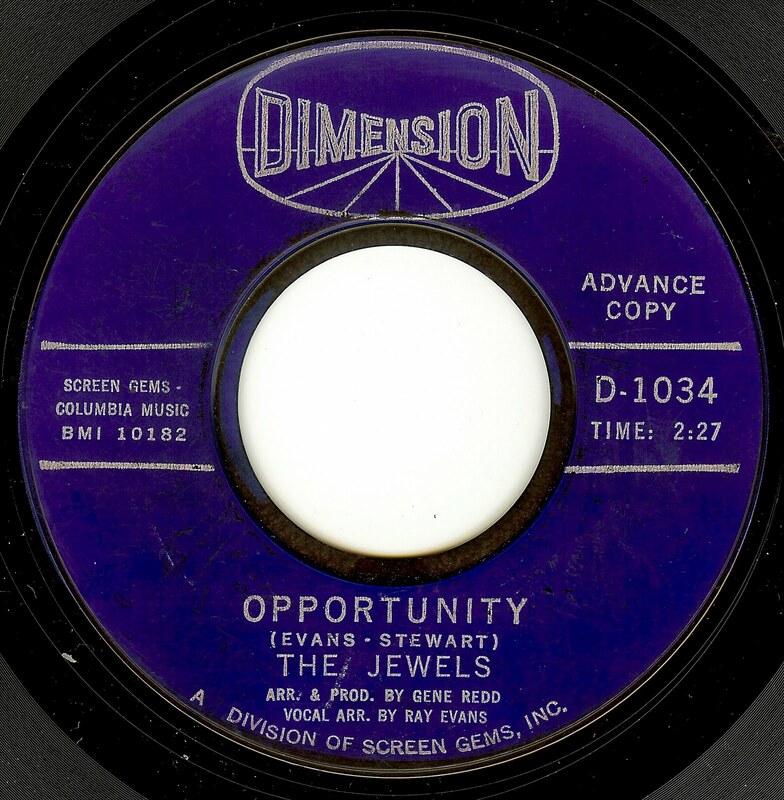 This is the type of scenario that seems much more common today than in the early 70's, when Atlantic Records had an incredibly high standard of quality in the music they released. While I have no evidence, my over-active imagination thinks that there is something more to the story than has been reported. This track in particular is just too good to wither away. The rest of the tracks (long rumored to have gone up in flames in the tragic Atlantic vault fire of the late '70's) were issued officially in 1999. This may be my absolute favorite track from Dusty; the dramatic arrangement and lyrics are a perfect match for her emotive and explosive voice. First the great Howard Tate, now the incredible Hubert Sumlin has passed. Hubert Sumlin joined forces with Howlin' Wolf in 1955 and added some of the most sophisticated and ripping lead guitar work in all of electric blues. Sumlin had a way with phrasing on guitar that simply cannot be duplicated; he created his own musical fingerprint that was as unique as a strand of DNA. 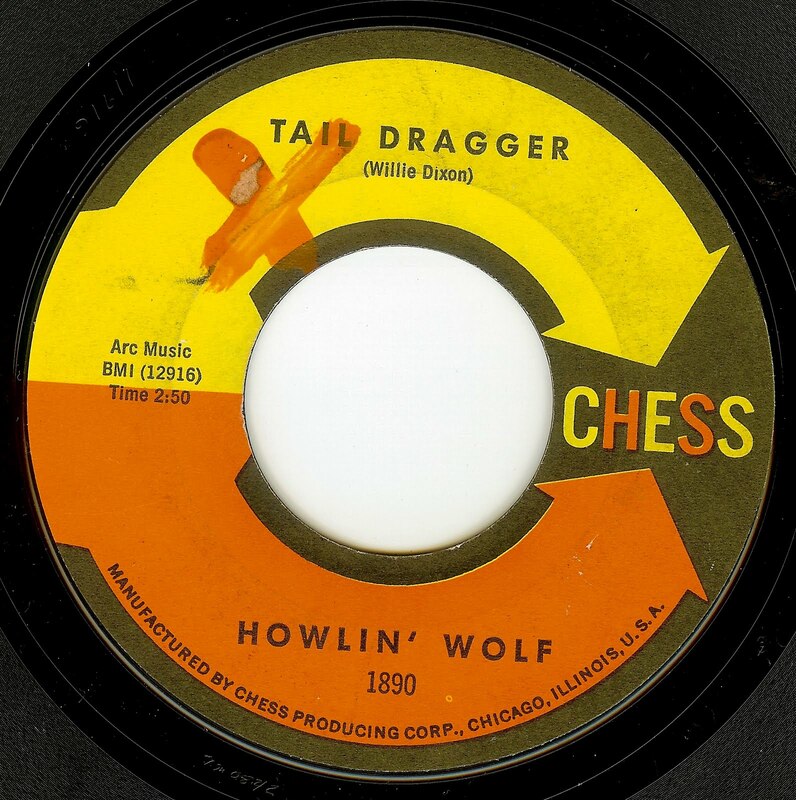 for all of his primitive vocal wailing, Wolf had the unique foresight to send Sumlin for classical guitar training after he relocated to Chicago from Greenwood, Mississippi to join Wolf's band. Just take a listen to the intro Sumlin plays on this track; it's pure genius. Hubert Sumlin was the last of the breed that could do it. 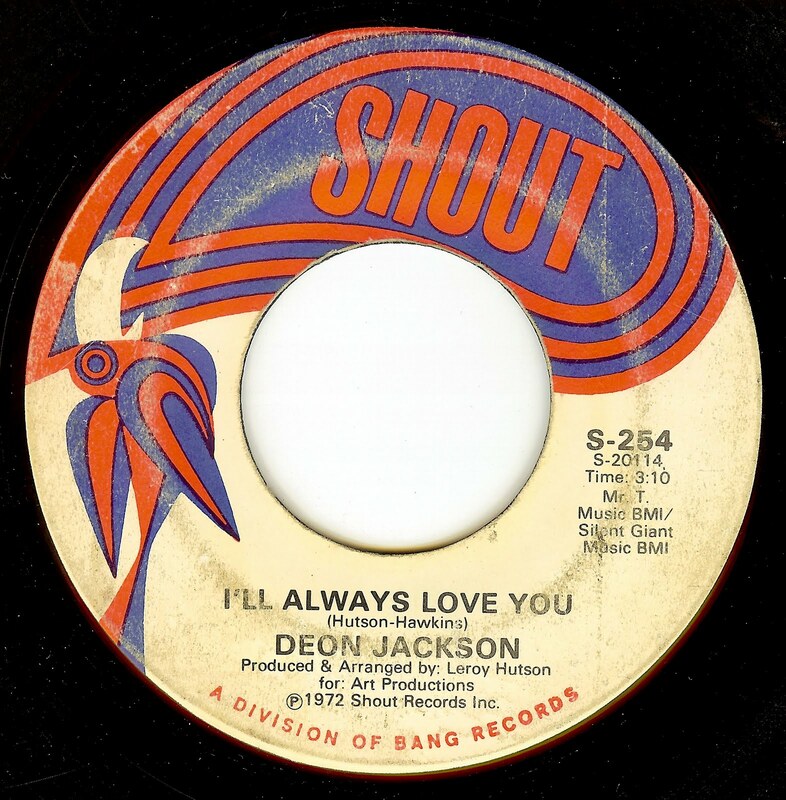 Ann Arbor, MI native Deon Jackson ended his recording career on a very classy note with this record. Deon's career began in 1964, when, fresh out of high school, he was discovered by brilliant producer Ollie McLaughlin. 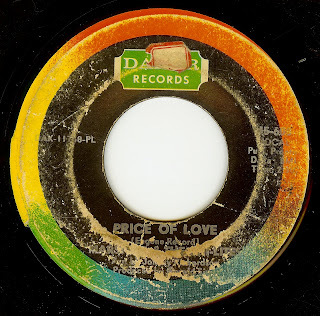 A year later he scored a massive hit with the beautiful "Love Makes The World Go Round". Deon continued to release records in that vein which showed off his gorgeous, clear tenor voice. He is now a principle at a suburban Illinois high school! Soul fans will always love Deon Jackson. 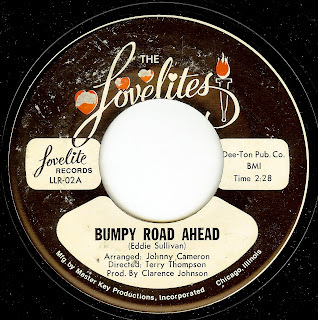 While this isn't the first release from the Chi-Lites, it is the first release from the group under the production of Chicago legend Carl Davis. 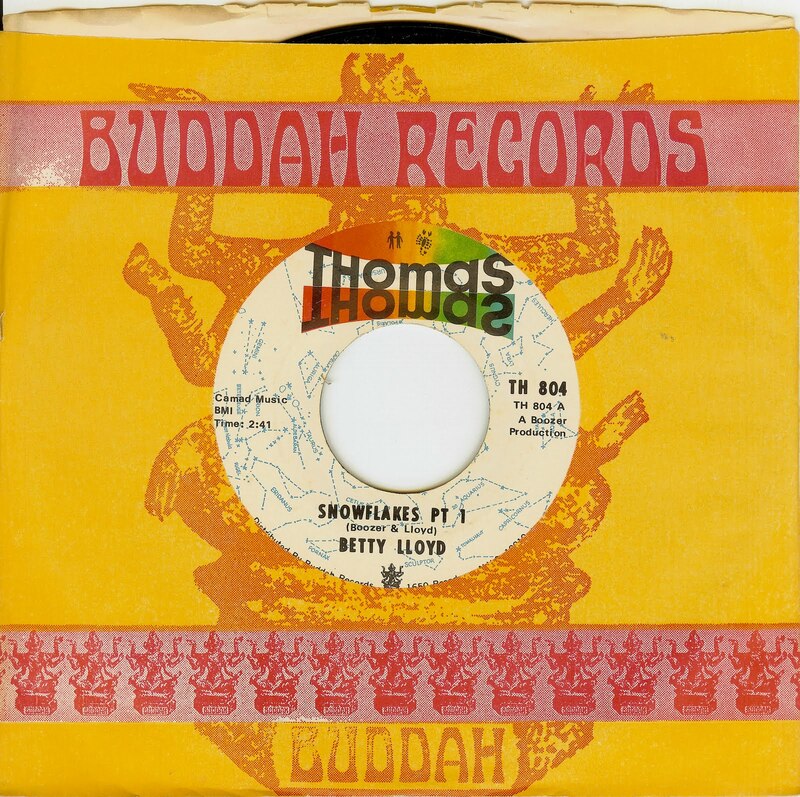 It's a glorious record that was a mere hint of the continued genius that was Chicago's mighty Chi-Lites. A few years back I featured the Artistics equally excellent version of this song on this very site.